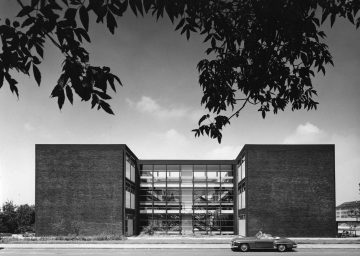 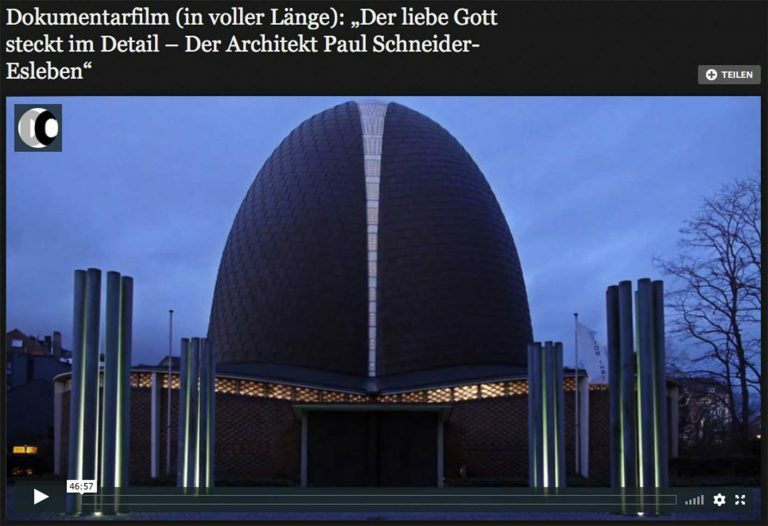 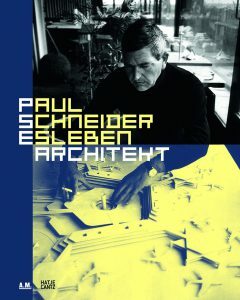 Paul Schneider-Esleben (1915–2005) is one of the architects who had a significant influence on postwar modernism, the construction of mega-projects in concrete, high-tech architecture, and building in the historical fabric. 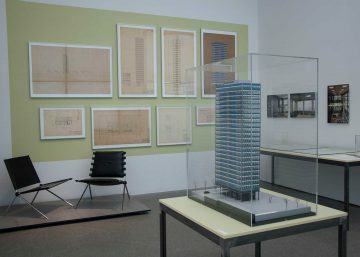 His Mannesmann high-rise in Düsseldorf (1954–1958) was Germany’s first steel frame structure with a curtain wall. 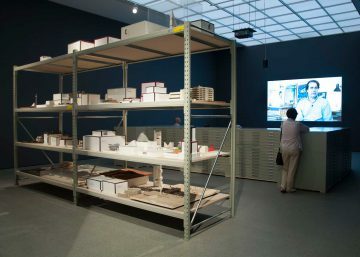 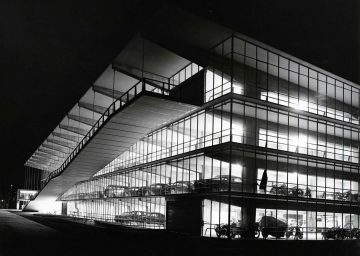 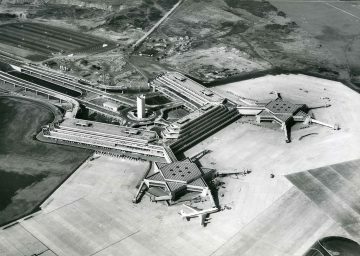 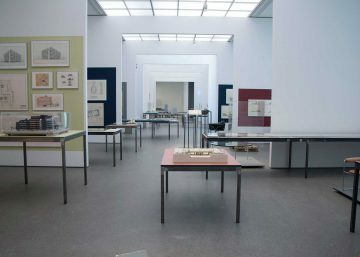 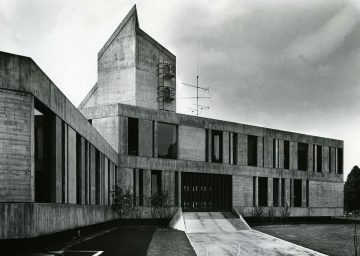 Schneider-Esleben was innovative both technically and conceptually: while he viewed the Roland School in Düsseldorf (1957–1961) as a project for pedagogical reform and hence gained the cooperation of avant-garde artists from the ZERO group, along with Joseph Beuys, for Köln-Bonn Airport (1962–1971) he developed such a convincing traffic concept that he was soon being called upon to act as advisor to airport projects worldwide. 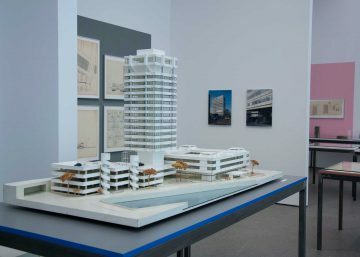 Even though most of Schneider-Esleben’s buildings still survive, the demolition of his ARAG headquarters in Düsseldorf highlights the persistent debate on the heritage value of postwar modernism. 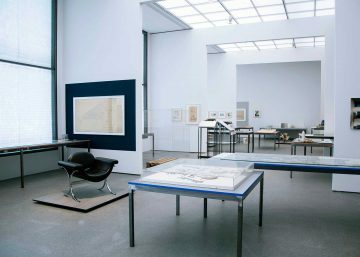 To mark what would have been his hundredth birthday, the Architekturmuseum TUM is mounting the first retrospective of Paul Schneider-Esleben’s work, drawing on the extensive estate acquired by the museum in 2006. 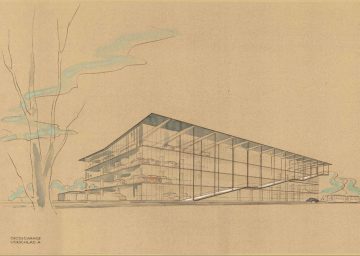 The exhibition presents the career of a versatile architect who was an extraordinarily gifted draftsman as well as a creative designer not only of buildings but also of furniture and jewelry.